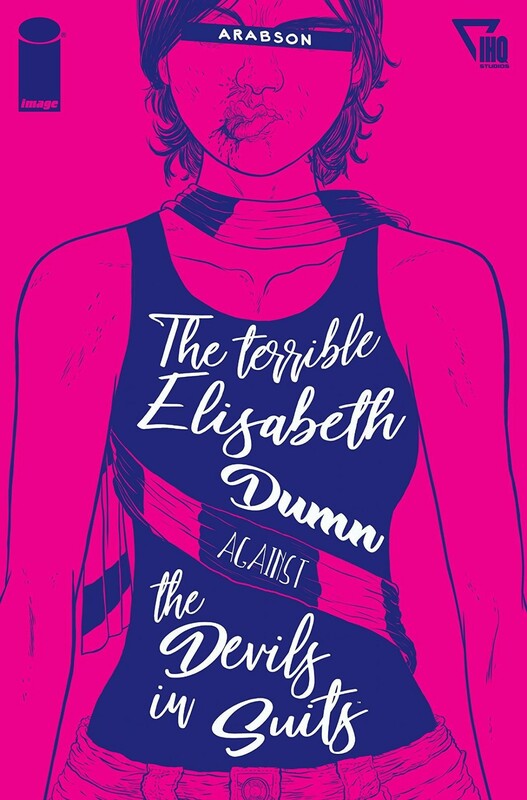 The Terrible Elisabeth Dumn Against the Devils in Suits opens with an archetypal conversation: a man who once bargained with the devil must finally pay his debt to his infernal lender. The electric one-shot comic—written and illustrated by Brazilian cartoonist Arabson and translated by James Robinson with colors from Anderson Cabral—abounds with classic Faustian imagery: a Satanic adversary with sinister emissaries, a legendary vagrant musician with endless secrets, and a hidden child among them. But many of the joys of this tautly plotted story emerge from how it eludes tropes while honoring them. Elisabeth Dumn first debuted in Brazil in 2016. The book begins with the devil arriving to claim Dumn’s brother; an elegant panel depicts a series of hoofprints approaching a door, the trail ebbing into shoe imprints. The father offers his daughter, an insubordinate teen in boarding school, instead, and Elisabeth finds herself hunted by suit-clad hellhounds: giant, nearly unstoppable creatures whose posh veneers give way to sheer physical menace. For this project, Arabson was inspired by the local story of a man whose sins came to haunt his family. “As incredible as it seems, something similar was told and taken as truth by many in my hometown,” Arabson recalls. “[I] didn’t remember that when I wrote [it]. 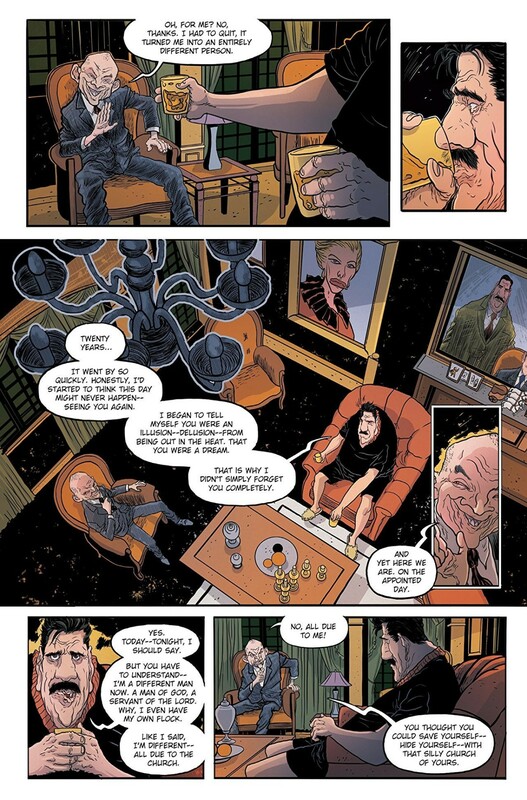 It just came to my mind [at] times later.” He also cites a pair of films from the mid-2000s, O Homem Que Desafiou o Diabo (The Man Who Challenged the Devil) and A Máquina (The Machine), as influencing the graphic novel’s story. It’s interesting to think that, somehow, forces so antagonistic are more united than they look, working together for the sake of this reality.